This course is certificated by NDA First Aid Training Ltd. This is NOT sufficient as a Lifeguard qualification but more so to satisfy your requirements within water safety as per your risk assessment. 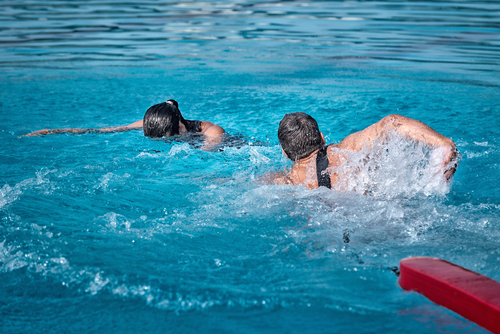 If you require courses governed by the Royal Life Saving Society please chose either Emergency Response, National Pool Lifeguard Qualification or National Rescue Test for Swimming Teachers and Coaches. (NRASTC) that we also offer. The aim of the course is to make swimming teachers and coaches more confident should an incident arise. Concentrating on raising awareness of potential hazards, prevent accidents and how to take appropriate emergency action when required. Upon successful completion certification is valid for 24 Months.